Out sporting the sounds of their Invisible Violence, Montreal's We Are Wolves are paying the Biltmore a visit. Seeing how these guys have been hitting the road pretty hard the last while, we're guessing they are one well-oiled dance-rockin' machine. Much-loved Brooklyn lo-fi dude Blank Dogs is hitting the coast for this tour kick-off with Vancouver's Cosmetics. It will be scrappy, loud and more than a little sweaty. Enjoy it. As we patiently wait for Vancouver's Makeout Videotape to give us a full-length, we can at least be happy that they seem to play the city almost non-stop. This particular show finds them pairing up with a pile of bands, including Cat Attack, KOBAN and Telephone Girls. Noodling Alberta indie rock heroes Lint and Desiderata will both be playing their last-ever shows at the Palomino. It's the perfect chance to say goodbye and watch them pass the torch on to newcomers Stalwart Sons. After a night in Edmonton, Detroit-based psychedelic garage punk trio Awesome Color will be taking their mind-numbing jams to Calgary on their Canadian tour. Joined by Hair Police and Krang, expect a heavy shroud of noisy rock'n'roll to cover you all weekend. For Check the Rhyme, Pharoahe Monch and Del the Funky Homosapien headline this stacked bill of hip-hop talent. Old and new rap fans alike will find something to get into with this enormous night. Alt-rockers Cake will bring their funky, sarcastic jams to the Edmonton Event Center for this rare Canadian performance. You might act like you're too cool for this now, but we all know you secretly want to go. We're not exactly sure what to expect with this one, but we're more than a little curious. Junior Boy Jeremy Greenspan is doing this solo show with Toronto soft pop eccentric Mantler, whom Greenspan joined on the brand new Monody album. Considering how nicely that record is going down right now, you might want to check this one out. Los Angeles-based post-rockers Red Sparowes are pairing up with Doomriders and Fang Island for this pretty killer triple bill. Bring those earplugs, folks. With their American Gong full-length now out for mass consumption, long-running indie-rock organ lovers Quasi are doing the tour thing. Since a Heatmiser reunion obviously isn't in the cards and a new Sleater-Kinney record looks to be a long ways off, you might want to take this one in, even if it's on a Sunday. Still out rocking their Bonfire Ball, Jason Collett, Zeus and Bahamas are taking their collective rock'n'roll bro-down to Montreal. By this point, the guys must have really perfected this travelling roadshow, so you'd be wise to check it out. 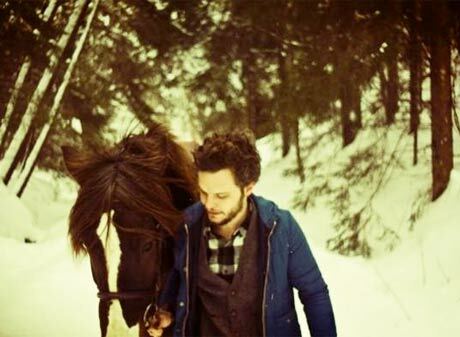 Soft-singin' Swedish folkie the Tallest Man on Earth is bringing his Wild Hunt across North America, with this Montreal stop serving as one of his few Canadian tour dates. Trans Am have yet to release their Thing, but we're excited. Even more exciting, though, is that the long-running post-rock eccentrics are bringing Kraut-loving Warp signees Nice Nice on the road, and Exclaim! faves Jonas Reinhardt, who are out supporting the killer Neu!-meets-'80s-cop-drama sounds of their recently released Powers of Audition. It's kind of hard to go wrong with this one.